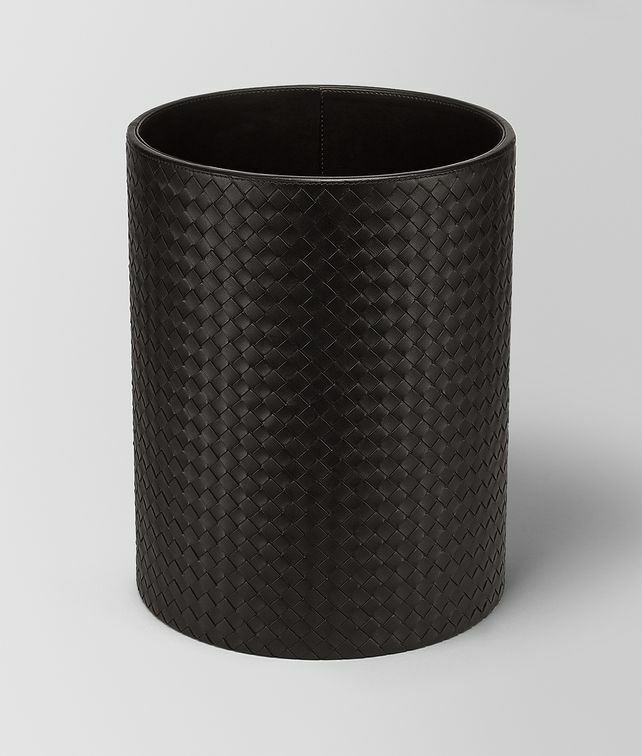 This paper basket features a rigid base and intrecciato nappa leather cover, making it an elegant addition to your home or office space. Coordinate with our matching desk or living room accessories. Height: 33 cm | 13"